Florida is a state in the south eastern of the United States, bordered to the west by the Gulf of Mexico, to the north by Alabama and Georgia and to the east by the Atlantic Ocean. Much of Florida is a peninsula between the Gulf of Mexico, the Atlantic Ocean, and the Straits of Florida. Its geography is notable for a coastline, omnipresent water and the threat of hurricanes. Florida has the longest coastline in the contiguous United States and is the only state that borders both the Gulf of Mexico and the Atlantic Ocean. The climate varies from subtropical in the north to tropical in the south. Some of its most iconic animals, such as the American alligator, crocodile, Florida panther and the manatee, can be found in the Everglades, one of the most famous national parks in the world. Florida is distinguished by its large Hispanic community and high population growth, as well as its increasing environmental concerns. Its economy relies mainly on tourism, agriculture, and transportation, which developed in the late 19th century. 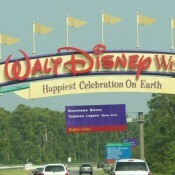 Florida is also known for its amusement parks, the production of oranges, and the Kennedy Space Centre. Florida culture is a reflection of influences and multiple inheritance; Native American, European American, Hispanic and African American heritages can be found in the architecture and cuisine. 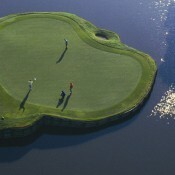 It is internationally known for golf, tennis, auto racing, and water sports.